Easter weekend will be here April 14-16, this year, and the eight days of Passover start even sooner — on Monday, April 10! Both of these holidays are often intergenerational affairs, and we know plans are already well underway to make it memorable. From food and décor to kid’s activities, we collected a few more recipes, crafts and bits of inspiration to get you ready for a magnificent Seder feast, or an eggceptional Easter celebration for the whole family! For a few Passover mainstays, Martha Stewart assembled a collection of her best sacred holiday recipes including this Meyer Lemon Brisket with a pomegranate condiment and a Potato-Parsnip Puree with rosemary and cinnamon. The dill and garlic add a delightful flavor to this All Recipes classic Deviled Eggs appetizer, with the rice vinegar adding an extra tart punch. For a twist, try Joy of Kosher’s Lox Deviled Eggs with avocado (instead of mayo) and jalapeño for a little heat. For those celebrating Easter, the inventor of this Tangy Honey-Glazed Ham came up with go-to entrée with ingredients she just happened to have on hand. The savor comes from cloves, Dijon mustard and orange zest. And since you start with a fully-cooked piece of pork, you’re already off to a head-start! You know how much we love Pinterest and the plethora of ideas we find there. For Passover, check out these beautiful table decorations! The creatives have also posted Easter egg wreaths, mason jar “baskets”, robin’s nest centerpieces, printable templates for all sorts of artistic décor and so many fun DIY bunnies, they seem to be reproducing like the real thing! Keeping kids entertained during the Seder meal can be a challenge, but Elizabeth Applebaum has you covered with A Dozen Ideas to Help Make Your Holiday More Fun Than Ever. Imagine everything from making up your own plagues to a game of matzah facts, this guide has you covered! If you need more, Temple Rodef Shalom offers an entire laundry list of ways to stir up your Seder. You can use that same egg-emptying technique to create egg-art, filling the eggs with washable paint instead of confetti. Growing a Jeweled Rose set up a big canvas for her kids and let them throw the eggs, Jackson Pollock-style! We’re told you can fill emptied eggs with powdered sidewalk chalk, too, and let the kids hurl them at the pavement. Makes you want to get in on the act, doesn’t it? If you have enough kids (even number!) you could stage an egg toss with this easy how-to. And here’s a fun Disney Channel Games video for pointers on throwing and catching techniques! You won’t be able to make a quiche with these broken eggs, but they’ll be good for the grass! 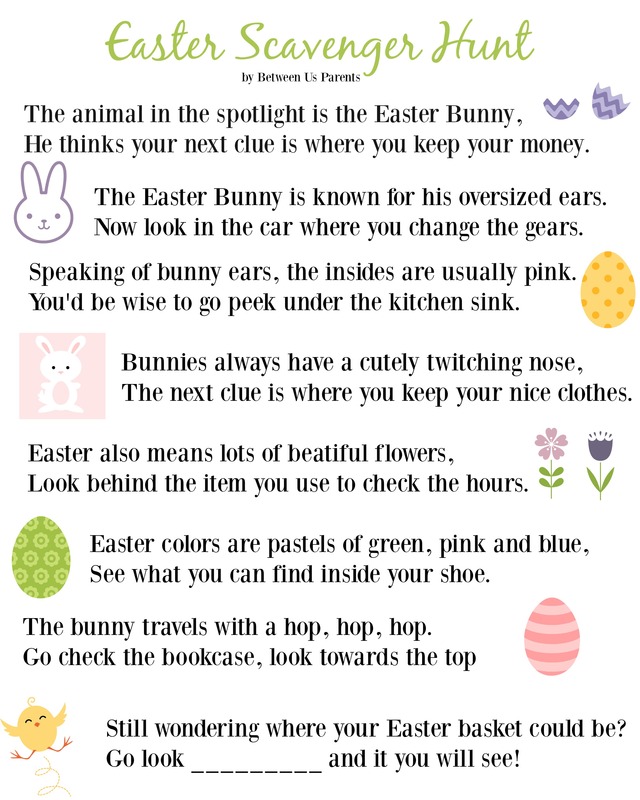 And older kids love a good Easter Egg Scavenger Hunt. This takes a little work before the day-of, stuffing clues into plastic eggs hidden throughout the house to find the ULTIMATE Easter baskets. If you’re not feeling particularly creative with your clues, check out these free printables from Chicago Now. Don’t have time to plan an activity? Bring the kids to The Lakehouse in Southshore on Saturday, April 15 from 1:00-3:00 p.m. for a visit from the Easter Bunny and an Easter Egg Hunt! Don’t live in Southshore yet? You could. Imagine spending the next holiday in Aurora’s award-winning master-planned community in a new home of your own! Tour the models from William Lyon Homes (formerly Village Homes), the brand new Delaney model from Richmond American Homes and Century Communities latest home designs at The Hills in Southshore! With both ranch and two-story models, these new homes by the lake are priced from the $400s to the $700s.